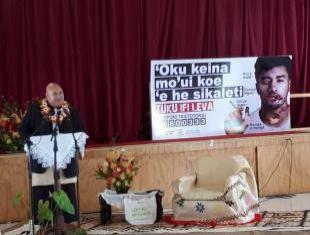 The Tongan Ministry of Health launched a 6 weeks campaign called Tuku Ifi Leva (Quit Smoking Now) starting on 5 October 2017. The graphic campaign showing the risks of tobacco use including cancers and other diseases will run on TV, radio, press, as well as Facebook. The website of the campaign is available at: www.tapuifitonga.com. The campaign is also offering advice and expert support to smokers willing to quit through a newly established toll-free quitline. Tobacco use in Tonga is among the highest in the world with a prevalence of 46% for men and 13% for women. Up to half of these men and women can be expected to die as a direct result of their smoking habits with many more affected by secondhand smoke. The campaign is supported by the Australian Government, Tonga Health Promotion Foundation, and the World Health Organization as part of The Tonga National Strategy to Prevent and Control Non-Communicable Disease 2015-2020 (The National NCD Strategy) following the WHO FCTC guidelines. The campaign also reflects the recommendations of the needs assessment mission on the implementation of the WHO FCTC carried out jointly by the Government of Tonga and the Convention Secretariat. More information: Dr ‘Ofa Tukia, NCD-Health Promotion Unit, Ministry of Health at e-mail: o.tukia@gmail.com.